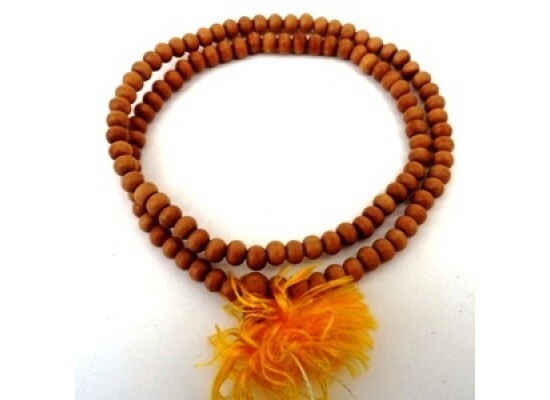 Genuine white sandalwood prayer mala 7mm beads. Prayer beads or malas have 108 beads considered an auspicious number. They are strung with tassles and a guru bead set at the top in the traditional Eastern style. Sandalwood has been celebrated as the perfect meditation tool for thousands of years. It is widely believed that the sandalwood scent can stimulate sensuality, grant a sense of awareness, invoke tranquillity, awaken the divine thoughts within and help relaxation.